You may have heard the term ‘craft beer’ bandied around a lot more recently, and as a cask ale drinker you may be thinking “What’s the difference between cask and craft?” So here’s a challenge for you: type ‘What is Craft Beer?’ into any search engine and you will encounter a wealth of definitions, debates, arguments and missions to pin point what craft beer actually is. Everyone in the beer world seems to have an opinion of what it is, and more importantly what it’s not. It’s a hot topic right now and it’s getting a lot of people talking. I find myself cowering slightly and giving an apologetic little shrug when I’m asked a question about craft beer as I’ve seen so many writers and bloggers being sneered at and shouted down whenever they try and explain their own definition of craft. Craft is a subjective term and people will disagree about whether some beers are ‘craft brewed’ or not, depending on who you talk to. Talk to any brewer, from the large regional breweries to the micros, and they will all say their product is lovingly ‘crafted’. Talk to any beer drinkers (I’ve done this extensively) and their definition will almost certainly differ: small volume, keg, American, strong, artisan, independent. I’m a great fan of the beer writer Pete Brown (if you haven’t checked out his website, it’s a must for beer lovers www.petebrownblogspot.com ). He has recently written a piece about the arguments surrounding the definition of craft beer on his blog. He made a brilliant analogy which put the whole craft beer debate into perspective for me. So with all credit to Pete, here’s my take on what he said. When people first started talking about ‘indie’ music back in the early nineties, there were lots of discussions, arguments and debates about how an ‘indie’ band was defined. And no one could agree what the criteria was. Small, independent, special, limited coverage? The same arguments we are now currently having about what craft beer is. Take Oasis as an example, the epitomy of an ‘indie’ band. They started small, then they broke through, became massively popular, tabloid front page regulars and played to a third of a million people at Knebworth. Were they still an ‘indie’ band? Try substituting the word ‘Oasis’ with the name of a beer brand that has started small (craft?) and then become one of the most successful beers in the country (still craft?). It could apply to almost every brewery in the world. If you look at newspaper reports from a decade ago discussing the definition of ‘indie’ music, you can substitute the phrase ‘craft beer’ for ‘indie’ in almost all of them. I’ve taken a growing interest in what craft beer is and realised a precise technical definition isn’t the most important thing at this point in time. 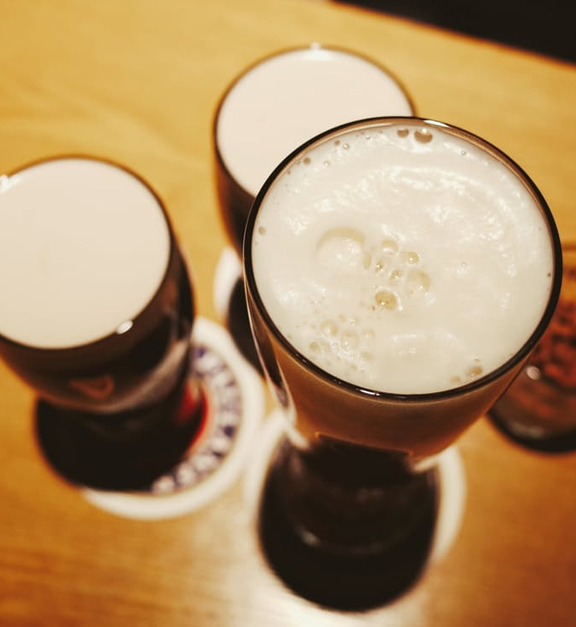 What is important is that there is a definite interest amongst publicans and drinkers (especially younger, curious drinkers) about beers which are slightly different to the mainstream, and craft beer is driving renewed interest in all things beer. In my opinion, craft beer can encompass cask beer from brewers large and small. But it also stretches to other beer styles reflecting the advances in technology that allow smaller brewers to create better quality keg and bottled beers than we have been accustomed to in the UK. So, I’ve stuck my neck on the line and written a piece about the hotly debated definition of craft beer. Broadly speaking, it does cover a broad range of beer styles, and most importantly is helping spread coverage and appreciation of interesting, well made beer. Like interesting, well made music, would you agree?